Talks about April 1940 when the German troops began pouring into Denmark. When it became clear that the trouble isn't just going to pass them by, the people of Denmark decide to take action and Bamse and his eccentric family take part in one of history's most dramatic rescues - smuggling Denmark's Jewish population, across to Sweden. It's April 1940 and German troops are pouring onto the streets of Denmark. 12-year-old Bamse is ordered by his father to keep his head down and stay out of trouble. But Bamse and his daring friend Anton can't resist playing the occasional practical joke on the invading soldiers. When it becomes clear that the trouble isn't just going to pass them by, the people of Denmark decide to take action and Bamse and his eccentric family are about to take part in one of history's most dramatic rescues - smuggling Denmark's Jewish population, across the water to Sweden, and safety. 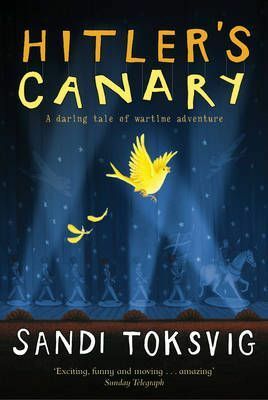 Many of the characters are based on Sandi's own family, including her father, Bamse, and the book was inspired by the stories her told to her.